The interior of the Moon may be hiding a surprising secret, new research suggests (sorry, conspiracy theorists – it’s not an underground lunar base). Scientists for years thought our nearby satellite was a dry and barren place. Opinions changed in the 1960s although it wasn’t until 2008 that scientists confirmed their newfound suspicion with the discovery of small amounts of water trapped within beads of glass found in lunar samples collected during the Apollo 15 and Apollo 17 missions in the early ‘70s. Researchers at Brown University recently analyzed satellite data from the Moon Mineralogy Mapper instrument aboard India's Chandrayaan-1 probe. As Space.com highlights, the instrument measures reflected sunlight at visible and near-infrared wavelengths. Geologist Ralph Milliken, lead author of the new study, notes that different minerals and compounds absorb and reflect light in different ways. 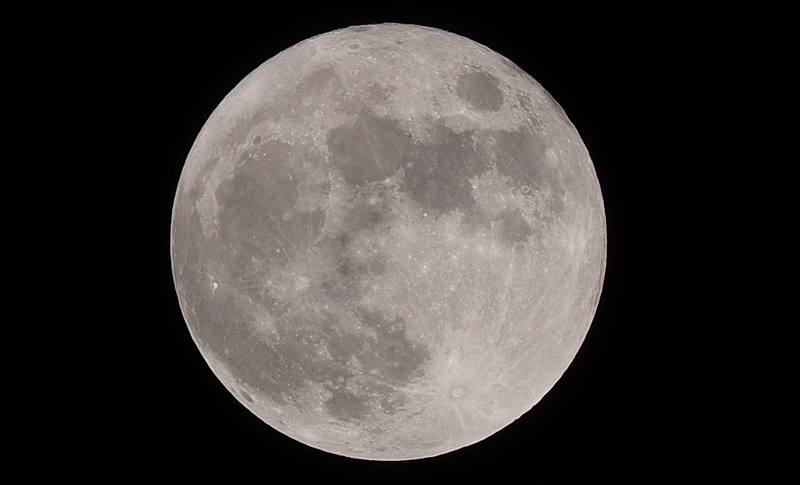 By isolating the reflected sunlight from the thermal energy emitted by the Moon’s surface, they were able to spot regions where H2O and OH absorb light. How the water got there to begin with, however, remains a mystery. Earlier theories suggested most of the water on the Moon came from asteroids and comets carrying liquid. If accurate, the findings could bode well for future colonization efforts as bringing water from Earth would be both heavy and expensive.